Soap-powder ads never used to be thoughtful. At least, it never looked that way when some put-upon mother was solving a domestic emergency or Danny Baker was banging on doors. But Persil is getting there with its "dirt is good" positioning. 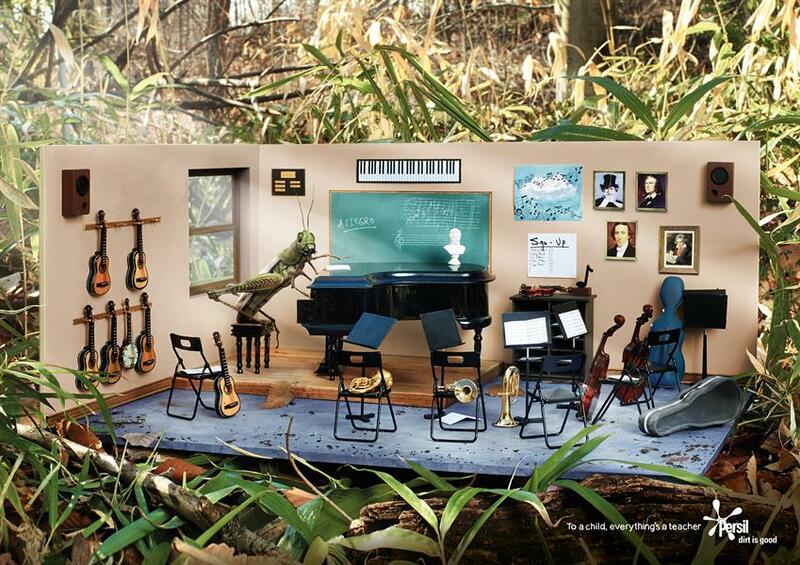 The brand’s new press and outdoor campaign, by DLKW Lowe, shows bugs posing as teachers inside miniature classroom dioramas, implying that children should be free to muck about in the dirt because "everything’s a teacher". The work was created by James Millers and Andy Long, and photographed by Justin Walker. Nix & Gerber created the models, in which live bugs were used.